I wrote a blog about planning my first visit to Italy and a commenter replied that I had to see Villa d’Este. It wasn’t to be missed. 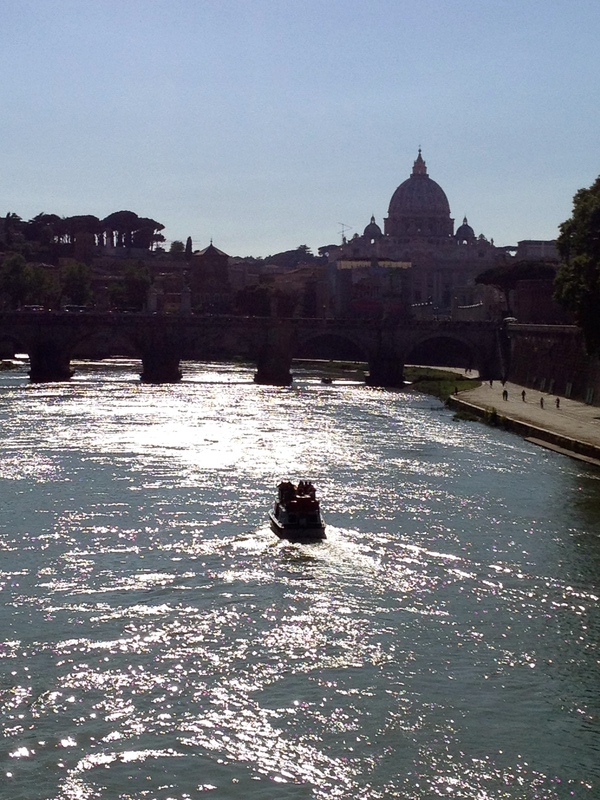 When it came to planning my field trips outside of Rome–Tivoli was high on my list of possiblilities. I found a day trip for a half day visit to Villa Adriana or Hadrian’s Villa and Villa d’Este in Tivoli, Italy about 20 miles outside of Rome. 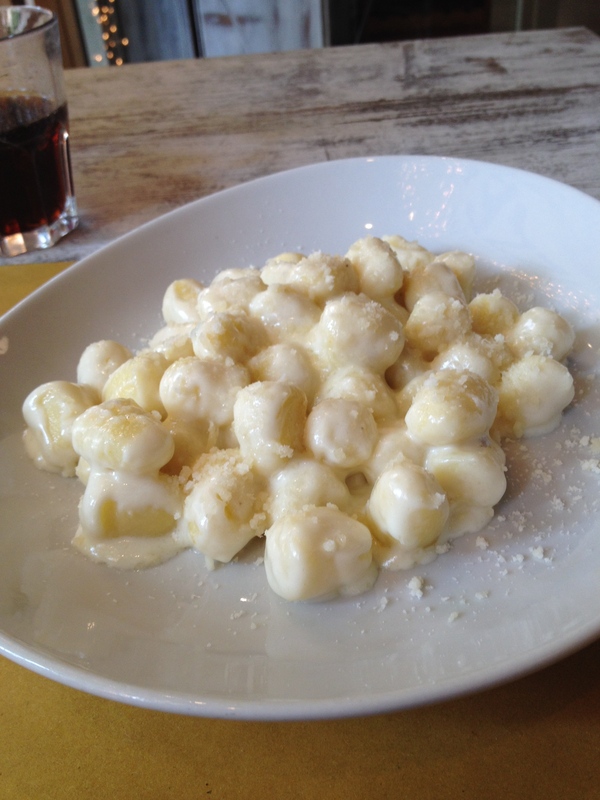 I booked it for the last day before I left Rome–a good choice because I returned to Rome with time to squeeze in a last minute visit to one of the many beautiful cathedrals (Santa Maria Maggiore) and grab a wonderfully filling and delicious gnocchi dinner. Mangia tutti! Pizza, Pasta, and Gelato! 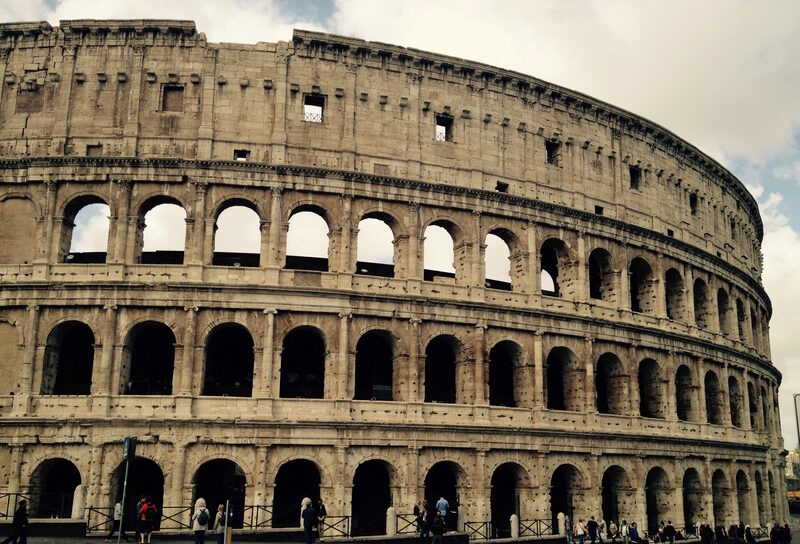 My last trip was to Italy for the very first time. The food was simple, fresh, and so tasty. I’m a picky eater, so I usually bring some snacks to help me supplement my meals on trips in case I have a hard time finding things I like. 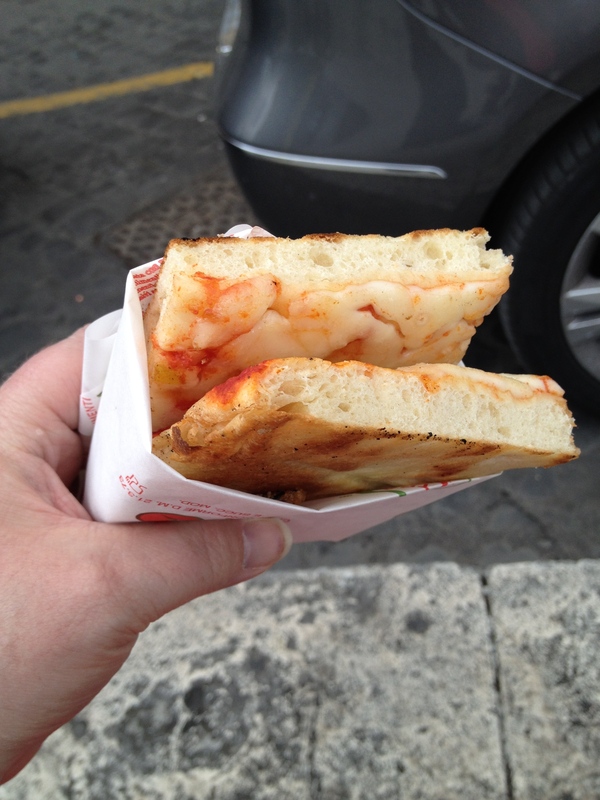 In Italy–finding tasty food was never a problem. 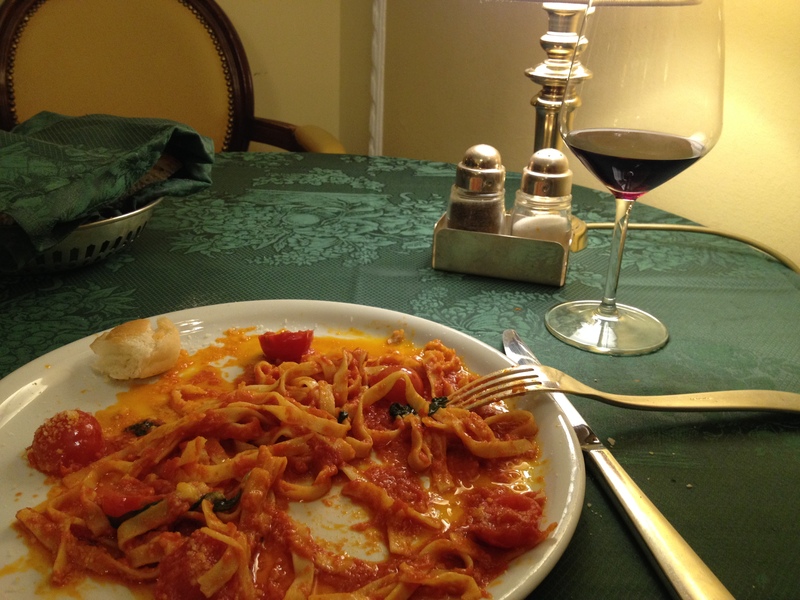 My ten days were a carb fest–pizza, pasta, and gelato. I like to think of it as the holy trinity in Italian foods. Pizza to go–not far from St. Peter’s Basilica The pizza is weighed, heated and cut in half then the cheese side is placed against the cheese side and wrapped in paper. 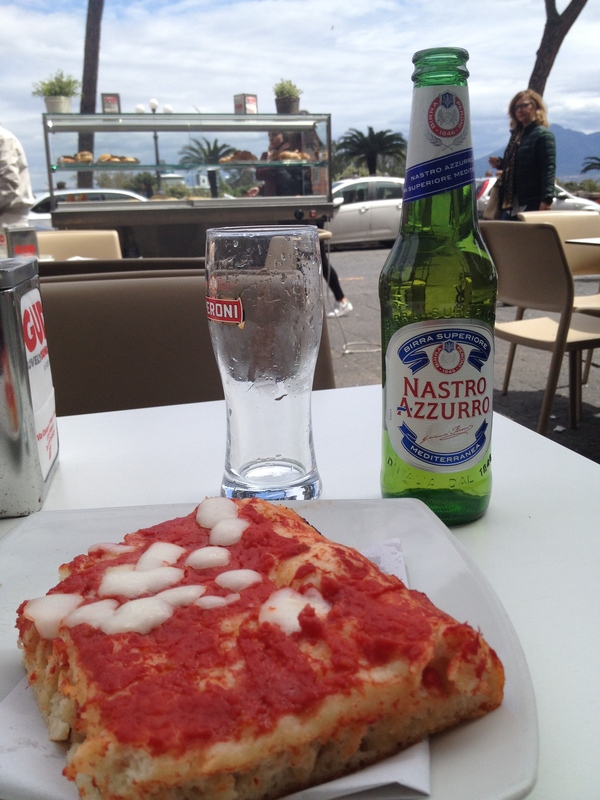 Neapolitan pizza in Naples with a regional beer. Egg noodles with a tomato and basil sauce. Cherry tomatoes were halved and put around the dish. Very simple and no heartburn! 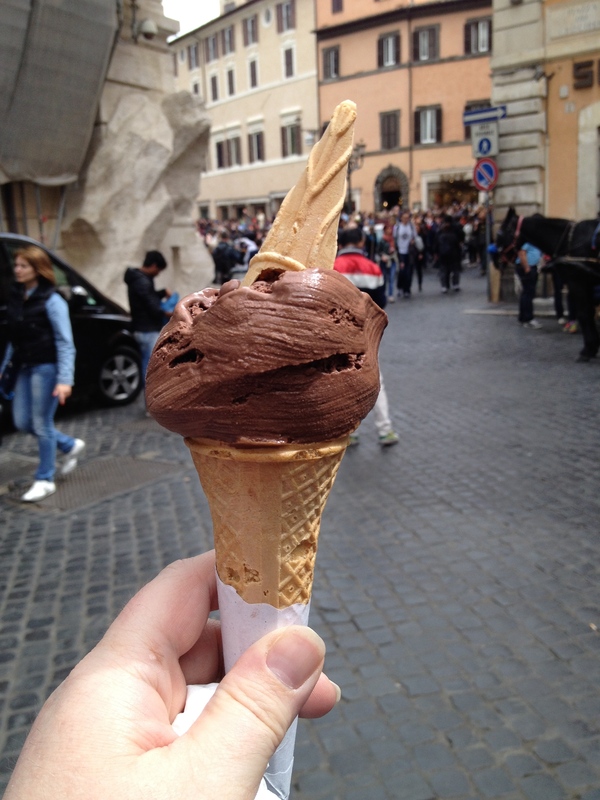 Chocolate gelato–simple but oh so good! Had it almost everyday either for lunch or after dinner.